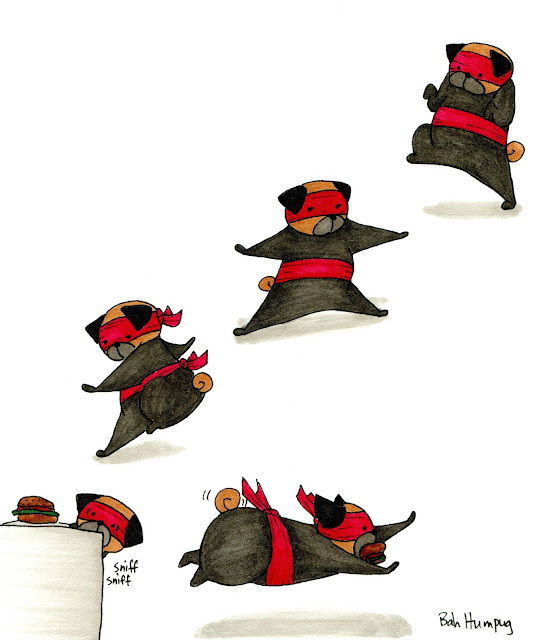 Bah Humpug: Ninja Pug's Snack Attack! Ninja Pug uses a snack attack to steal your food! No pug could turn down that mission! This is awesome or what? Need a publish a kids book! I love the fact this ninja is chubby, lol ! :D This is so funny pic :D Your illustrations are great ;) look at my pug boy: mops-spartakus.blogspot.cz We are from Czech rep.